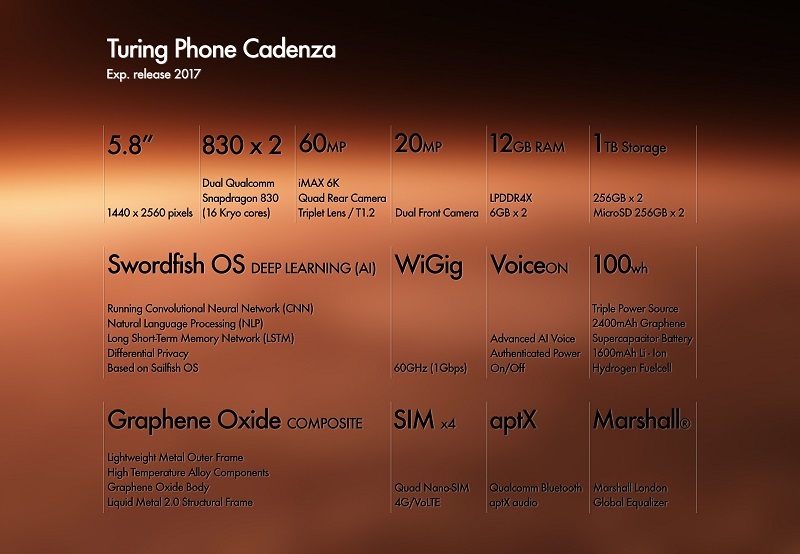 Turing Robotics Industries (TRI) has announced a new smartphone that comes with powerful specifications. Dubbed as Turing Phone Cadenza, it is powered by not one but two Snapdragon 830s processors. The phone comes with two 6GB RAM modules (12GB RAM) and offers 1TB of storage with two 256Gb memory chips for on board memory, and an additional 500GB available through micro-SD card slots. It comes with “VoiceOn” technology, which will turn your phone on and off with voice commands. Voice can also be used for bio-metric authentication, as against a retina scanner or a fingerprint scanner. It is our belief that we can disrupt the status quo by bringing the Turing Phone Cadenza from the future to the present. 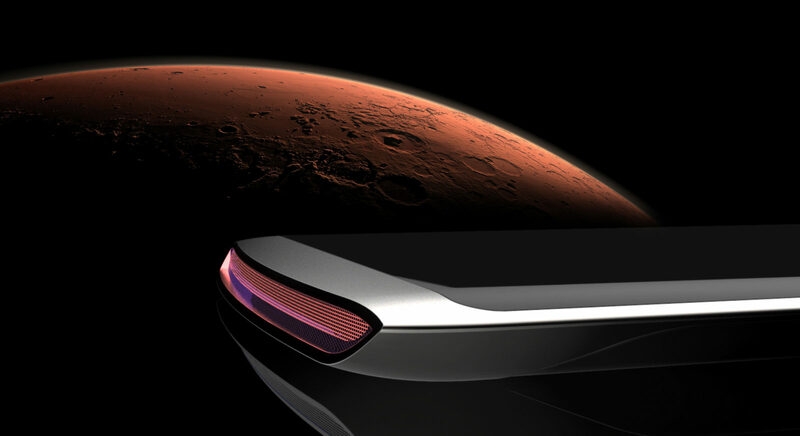 The company plans to start shipping the Turing Phone Cadenza devices in 2017.